Don’t know about other amateur photographers, but I’ve learned tons from studying other photographer’s work. I learned from my friend Chuck Vranas’ hot rod photography and shared some of his work from years of shooting for magazines like Street Rodder. He’s also become a good friend. Ever heard of Peter Vincent? Vincent is also a well known automotive photographer, and we’re in luck! He loves Bonneville Salt Flats, just like we do! I carefully sort through Vincent’s work too… I don’t want to copy what he does, but observe the style and composition of the photo. I politely ask myself… “What makes this guy famous! ?” and know that it’s something he’s doing better than I am. “This book was important to me for so many reasons. It is an accumulation of over 20 years of photographic work and while it is not a “History of Bonneville”, it certainly is my history of more than 20 years… It is my tribute to the racers, the environment and landscape, and everything I’ve learned about it all. Pg 149 in the book: The last year Al Teague ran, he and I behind the Liner…. I have been fortunate to drive twice for a license. I do understand the passion and the spiritual value of the experience. The comradery that I’ve seen out on the salt with the racers, and the friends that I have made, keep me returning. Each year is a heartfelt reunion for us. 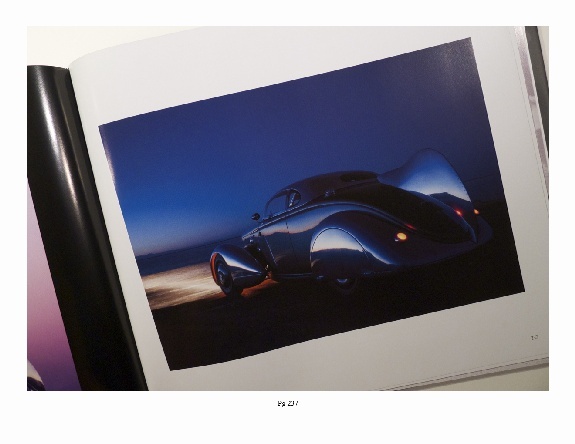 Pg 237 in the book, Eric Zausner’s 1936 Aerosport (1936 Ford Roadster) built at Moal Coachbuilders. Pg 225 in the book: Fabian Valdez Chevy, photographed in 2012 Speed Week, one of my favorites. ST. PAUL, MN, October 2013 – Peter Vincent is arguably the most experienced photographer of Utah’s legendary Bonneville Salt Flats. Every year for more than 20 years he has visited this unique American landscape with camera in hand. 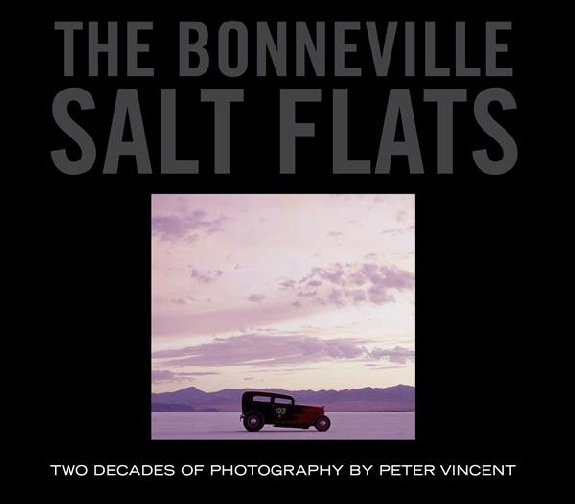 The Bonneville Salt Flats: Two Decades of Photography by Peter Vincent is an evocative selection of thousands of images he has captured at Bonneville and its surroundings to deliver an exceptional photographic portrait. Bonneville is a simple but challenging setting. Its flat, white surface and endless arc of sky above allow a photographer to bring a great degree of subtlety to his work. But there is little protection from the elements; high winds, blinding sun, and blistering heat contrast with immense rainstorms that can cover the basin in 6 to 12 inches of water within an hour’s time. All of these conditions create an unusual yet creatively stimulating environment. Vincent first came to the salt to photograph the racers who test their machinery upon the planet’s ultimate proving grounds. Soon Vincent began to appreciate the salt flats and its surroundings as something more than just a location. 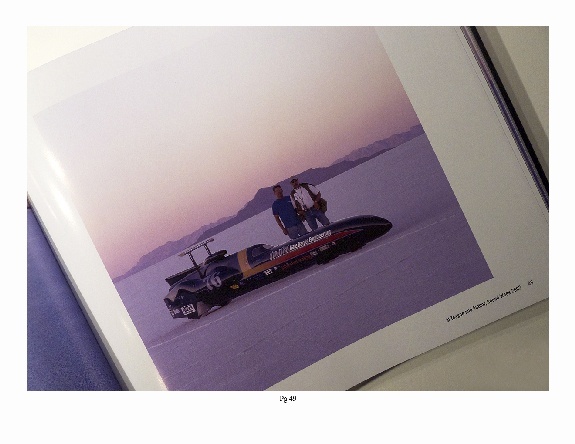 In this book he explores the meaning of Bonneville from every possible angle of speed, culture, landscape, and light. Vincent is not just a photographer’s photographer; he truly loves and treasures his time on the salt each year as well as the friends he has made there. That passion comes through loud and clear in the pages of this book, with stunning landscape photography, engaging portraits, and, for the gearheads, a wide selection of unique and fascinating cars and motorcycles. 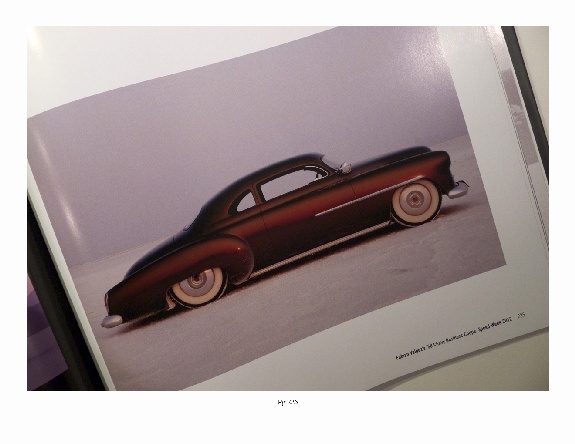 We created this book to be an enjoyable experience whether you are a hot rodder, a land speed racing junkie, an admirer of the landscapes of the American West, or simply a lover of great photographs. The result is a 272 page tome that is impressive in its scope, size, and in the quality of its production and content. The standard version of the book is a jacketed hardcover at $85 retail + S&H. A special edition of 149 autographed and hand numbered copies is also available for $300 retail + S&H. It is protected by a slipcase and includes a limited edition print on archival stock that is suitable for framing. A limited run of black & white posters is available as well. This 24″ x 18″ black & white poster, printed on heavy stock, is on sale at stanceandspeed.com for only $25, including S&H for United States customers. Highlights of the book include: written pieces by artist Tom Fritz and racer Ron Jolliffe; an interview with Bonneville regular Dennis Varni; Al Teague’s Streamliner at speed; George Poteet’s Speed Demon and Blowfish; Nolan White’s Streamliner; Vern Tardel’s racing team; Jim Travis’ Pumpkin Seed; Jeff Brock’s Bombshell Betty; motorcycles from Lowbrow Bikes, Shinya Kimura and others; Rolling Bones’ hot rods and race cars; and a foreword by the Oakland Museum of California’s Chief Curator Emeritus, Philip Linhares. But this only scratches the surface. The book also gives the reader a visceral sense of what it’s like to approach Bonneville from the west or the east, a taste of the scene in nearby Wendover, and an extensive collection of the beautiful and bizarre machinery that shows up on the salt every year. The book closes with captions that provide much more detail about the photos displayed in the book’s clean, spare layout. The Bonneville Salt Flats: Two Decades of Photography by Peter Vincent is available at: stanceandspeed.com, www.petervincentphotography.com and leading automotive book retailers.